Governor Godwin Obaseki of Edo State has, in continuation of the decongestion process to clean up Edo State, inspected the city centre, Ring Road and its environs, where he moved to recover government properties and promised to build a central bus terminal. The governor assured the people of the state that the discomfort accompanying the clean-up process was ephemeral and would soon pass as his administration had exhibited readiness to recover all government lands and erect a central bus terminal to further decongest the city centre. Inspecting the government properties around Ring Road axis in Benin City, the state’s capital, Governor Obaseki revealed that in the last four months of his administration, his government had critically studied the congestion dogging the city centre and fingered absence of a central bus terminal as the culprit. “We are trying to decongest Ring Road and Oba market to open up the bottle neck because the city centre has become choked with people selling by the roadside and transporters picking passengers by the road side. One of the challenges facing traffic is that we do not have a central terminal, but we have identified government properties where we can build central bus terminal,” he said. 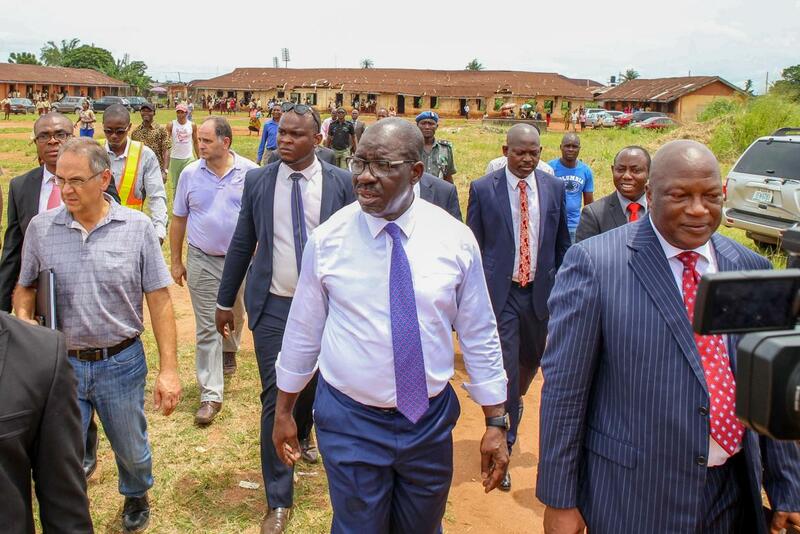 Elucidating, Governor Obaseki, who was accompanied by Secretary to the State Government (SSG), Barr Osarodion Ogie said ‘Operation Clean up Edo’ was not to punish Edo people, but to ensure that the state was clean. The Governor noted that the space occupied by Idah primary school, Okai primary school; Ekpenede primary school and the government landed property opposite Evbuotubu Motor Park would be used for the planned central bus terminal. He added that at least two of these schools would be relocated to other areas to realise the central bus terminal. He said: “We are going to re-build these schools as a proper educational hub, put playground, mini stadia, so that the children here can feel a sense and create a proper atmosphere for education for them”.